As soon as I saw that Philippa Gregory started a YA series, I bought the first book. I didn't even read the summary---I just knew I had to read Changeling. By the way, that kind of impulse buying is exactly the kind of behavior that gets me in trouble with my husband. I have read two Philippa Gregory books in the past, The White Queen, and The Red Queen, but I haven't picked up any of her other books in a while. At the time I read her first two books, I told myself I was going to read everything by her that I could get my hands on, but life happened and I started going for fast, easy reads. Can you blame me: I got pregnant and had pregnancy-brain, and then the baby came and I had (and still have) mommy-brain! 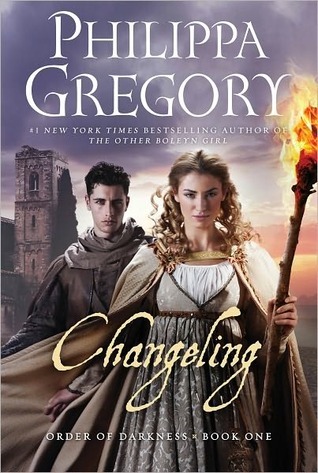 Anyway, I was really excited about Changeling, excited that I could enjoy Philippa Gregory's writing in a faster, easier read. Overall, I really enjoyed Changeling. I loved getting to know both Luca and Isolde. The character development was great, especially the minor characters. They really added a lot to the story. I loved the plot and how Luca figures things out at the end. And my favorite part of the story was Isolde and Ishraq's friendship. They are more like sisters, and Ishraq is completely devoted to Isolde (in a platonic way). I loved that! My complaint about Changeling is that the story seemed to jump around. 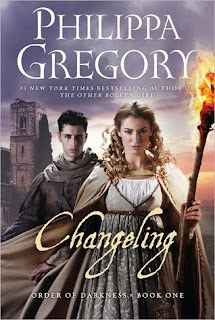 I felt like Gregory didn't have enough material to make the convent-based part of the story into a full-length novel, so she added the part about the wolf in the next town just as filler. It didn't seem to flow with the rest of the story to me. I enjoyed both parts of the book, but thought there should have been more transition from one part to the next. The ending was choppy as well, which left me feeling pretty unsatisfied. Overall, I would definitely still recommend Changeling. The story was engrossing, the characters were well-developed, and the romance was forbidden. I look forward to the next book in the series, and will be buying it as soon as it's released! Sorry that it jumped around but the characters sound great. I haven't read anything by her, but considering it. I also have a book blog I do, and I love Philippa Gregory's other novels. This one was different for me, but it was enjoyable to read. It was intense and not at all expected. I found some things odd about the book, but it was meant for a younger audience so it read far easier than her other books. Not as much material or details, etc.